Brian Bendis has revealed his plan for a new DC Comics event called Leviathan. 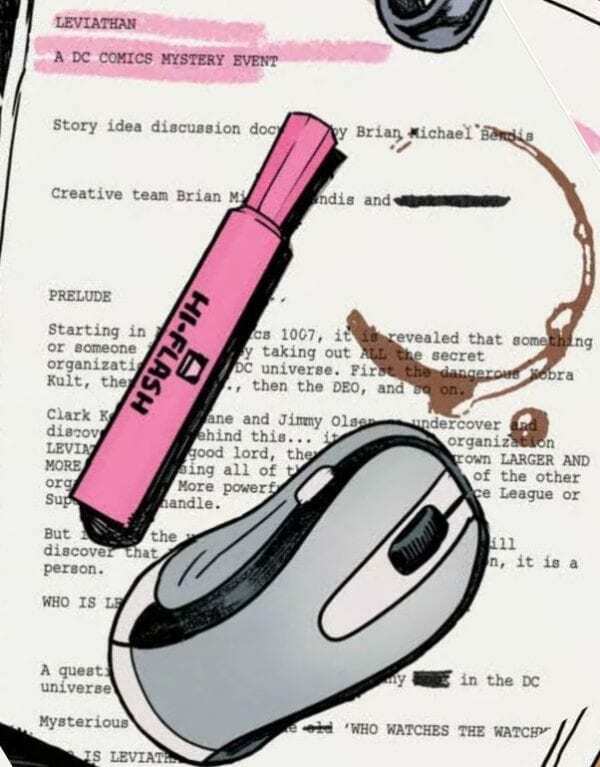 The information comes courtesy of the Jinxworld newsletter in the recent Cover #5 by Bendis and artist David Mack. Bendis’s Scarlet partner, Alex Maleev, will be joining him on this new venture. We wrap up [SCARLET] with issue #5. Then Alex has asked me to do some DC comics with him. He’s always wanted to do DC comics with me. He’s always wanted to do Batman and other characters with me. He’s talked about it for years. So when I was coming to DC Comics, we knew we were going to bring our creator-owned stuff with us, but we also knew that there was an itch that needed to be scratched. So our personal reward for finishing the fully painted SCARLET VOLUME 3 graphic novel is our fully painted contribution to DETECTIVE COMICS #1000. Our first proper Batman story in this landmark publishing event. We are so honored. It’s already done, and it’s gorgeous. I’m very excited to be part of that project. ACTION COMICS #1000 and DETECTIVE COMICS #1000. Self-high-five! After DETECTIVE #1000, Alex and I will be embarking on a major DC project. It’s called LEVIATHAN. You will soon hear a lot about it. It’s something so big, so monumental to the DC Universe; it was worth pausing our numerous creator-owned stuff for. This special event story lets Alex do everything he’s ever wanted to do at DC. Leviathan — the criminal enterprise that both creates genetically altered metahumans and brainwashes ordinary people into working on its behalf — debuted in Grant Morrison’s Batman Inc; Bendis has recently woven the organization into his runs on Superman and Action Comics. Starting in Action Comics 1007, it is revealed that something or someone is stealthily taking out ALL the secret organizations in the DC universe. 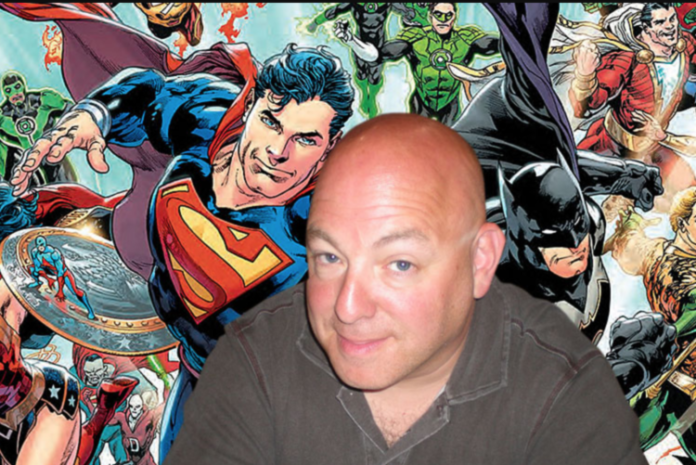 Are you looking forward to Bendis’s first DC event since he joined the publisher? Comment below!